Current: What is Agile? What is Scrum? Agile is a mindset and philosophy that describes a set of principles in the Agile Manifesto, On the other hand, Scrum is a framework that prescribes roles, events, artifacts, and rules/guidelines to implement that mindset. In other words, Agile is the mindset and Scrum is the framework that prescribe a process for implementing the agile philosophy. 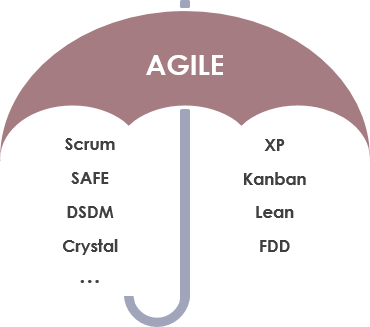 Agile is an umbrella term for a set of methods and practices based on the values and principles expressed in the Agile Manifesto that is a way of thinking that enables teams and businesses to innovate, quickly respond to changing demand, while mitigating risk. Organizations can be agile using many of the available frameworks available such as Scrum, Kanban, Lean, Extreme Programming (XP) and etc. The Agile movement proposes alternatives to traditional project management. Agile approaches are typically used in software development to help businesses respond to unpredictability which refer to a group of software development methodologies based on iterative development, where requirements and solutions evolve through collaboration between self-organizing cross-functional teams. The primary goal of being Agile is empowered the development team the ability to create and respond to change in order to succeed in an uncertain and turbulent environment. Scrum and agile are not the same but scrum is one of the agile processes. They are based in iterative development. The requirements and solutions of agile obtained by the association between the cross-functional and self-organization teams, and when implemented properly can help teams address complex problems by incrementally delivering products of the highest value while mitigating risk. 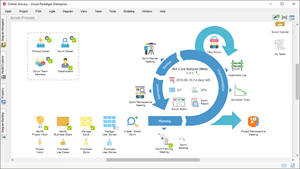 Scrum involves prompt inspection and adaptation, teamwork is enhanced by leadership philosophy, accountability and self-organization, best practices of engineering which helps in the delivery of prompt high-quality software. A Scrum process is distinguished from other agile processes by specific concepts and practices, divided into the three categories of Roles (product owner, scrum master, development team and other stakeholder), events, artifacts, and rules. To start a Scrum process, a product owner creates a prioritized wish list called a product backlog. During sprint planning the backlog is sized for complexity and business value (priority). The product owner (client) and the development team determine which backlog items get added to the sprint. 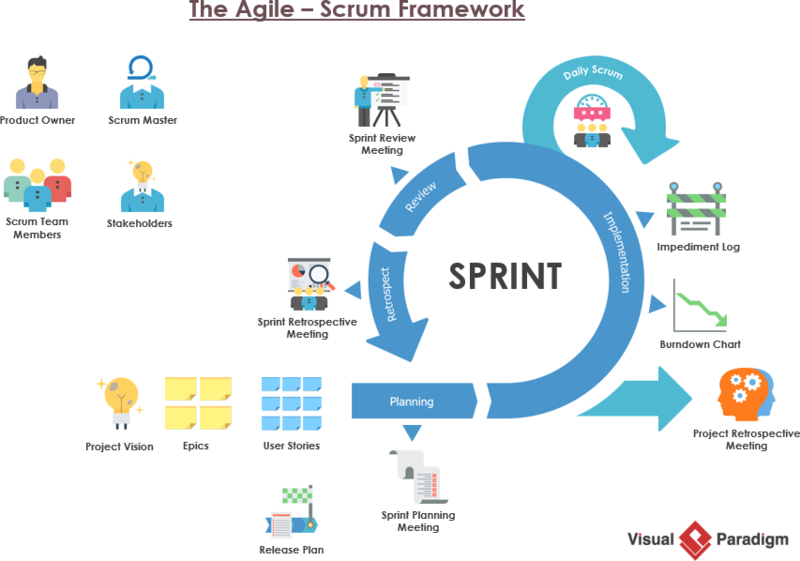 The team has a certain amount of time (called a sprint, usually two to four weeks) to complete its work, but it meets each day to assess its progress (daily Scrum). Along the way, the Scrum Master keeps the team focused on its goal. At the end of the sprint the team reviews their progress, shows the client the working product, and reviews what went well or what they need to improve on for the next sprint. Then the cycle repeats.